Carlyle Court has two types of room accommodations available to residents - one-bedroom suites that accommodate three to four residents and studio apartments that accommodate two residents. The suites house two residents in a spacious shared living area with full kitchen and bathroom amenities. 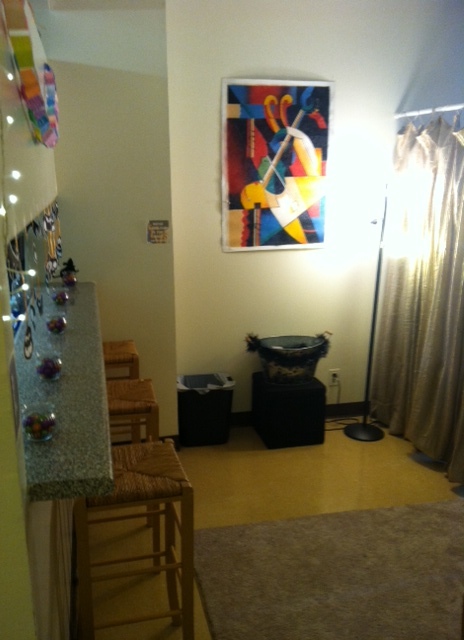 These rooms accommodate 4 residents in two adjacent suites with a shared bathroom, kitchen, and common area. Carlyle's 4-person suites are divided into a B Bedroom and A Living Space. Each room hosts two bed spaces. While the B Bedroom is slightly smaller and has it's own doorway, the A Space is not separated from the common area. 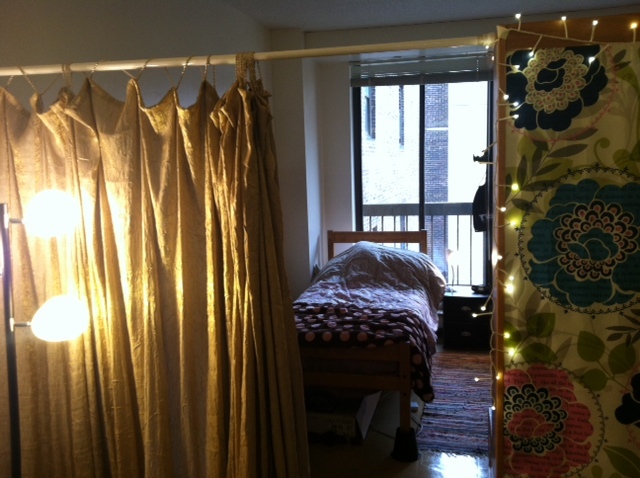 Resident living in the A Space have found a number of creative means to divide up their private & common spaces. Check out the examples below.